Jay Norwood “Ding” Darling, a two time Pulitzer Prize winning cartoonist, waged a life-long battle for conservation with an often indifferent American public. His life was fun and frustrating, energetic and profound. The intriguing Ding worked long hours and played with enthusiasm. He ate pie for breakfast. He visited Russia at the invitation of Stalin. He cavorted with presidents, dignitaries, and scores of luminaries from the strident first half of the twentieth century in America. 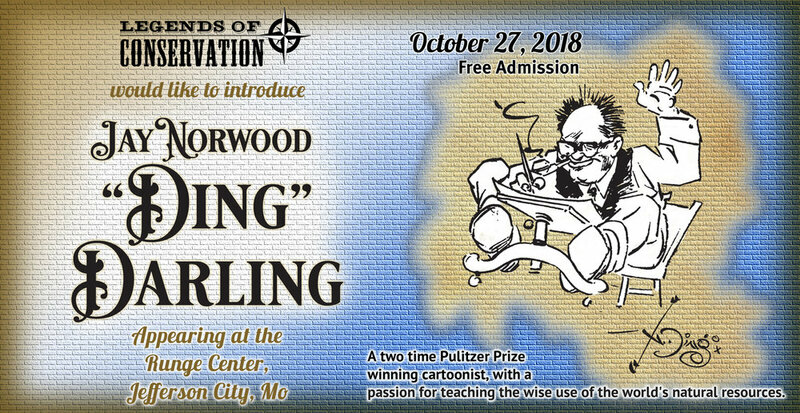 Although "Ding" earned his living as an editorial cartoonist, his passion was teaching the wise use of the world's natural resources. Skilled in public speaking, articulate in writing, Darling devoted his special talents to conservation education and to developing programs and institutions which would benefit wildlife. The National Wildlife Federation, the Cooperative Fish & Wildlife Research Unit Program, the Federal Duck Stamp Program, the Wildlife Refuge System, all owe their early existence to Darling's forceful leadership and conservation ethic. Darling's pragmatic conservation ethic and forceful leadership continue to guide the thoughts and actions of the conservation movement today, decades after his death. In 2016, Humanities Iowa partnered with the Iowa Department of Natural Resources to appoint Tom Milligan to write and produce a show about Pulitzer Prize winner and conservationist, Jay N. Ding Darling. Tom has been a working as a theatrical professional for the past 45 years, working as an actor, director, scene designer, producer, and writer. His one man play The Art of Conservation: A Visit with Ding Darling was an instant success. In this hour long presentation, Jay N. "Ding" Darling visits with the audience in his 11th floor office at The Des Moines Register. 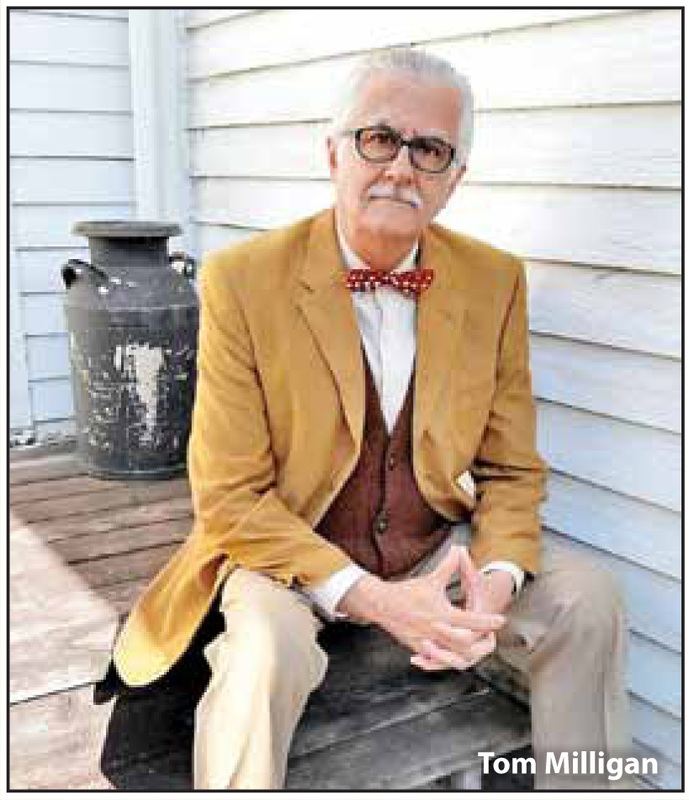 Beginning with his early years in Sioux City, where he became aware of the natural world around him, as well as his developing skills as an editorial cartoonist, he reflects upon his remarkable life journey. His story continues to include 2 Pulitzer Prize winning editorial cartoons for The Register, and a remarkable career as a nationally known conservationist. From the introduction of The Duck Stamp to the creation of the National Wildlife Federation, Darling's influence was felt, not only through his cartoons, but through his actions as well. Considered by many to be one of the most influential members of the modern conservation movement in the first half of the 20th century, the impact of his work is still felt today. The question “How rich will we be . . .” seemed heretical when “Ding” asked it in 1938. Today we not only recognize the wisdom of the question, we shudder when we consider the answer. How Rich Will We Be When We Have Converted All Our Forest, All Our Soil, All Our Water Resources and Minerals to Cash?